KMI Brands is pleased to announce the launch of Orla Kiely’s new seasonal SS19 wash bag collection, launching into John Lewis and independent retailers nationwide. The new wash bag collection features three striking designs; Dove, Scallop Flower and the iconic Stem print, the latter being Orla’s most distinctive design and one of the most recognisable motifs of 21st century fashion. Orla first introduced her colourful Stem print back in the 1990s and since then it has been used as the logo for her global lifestyle empire and featured across everything from stationary and homeware to dresses and even cars. 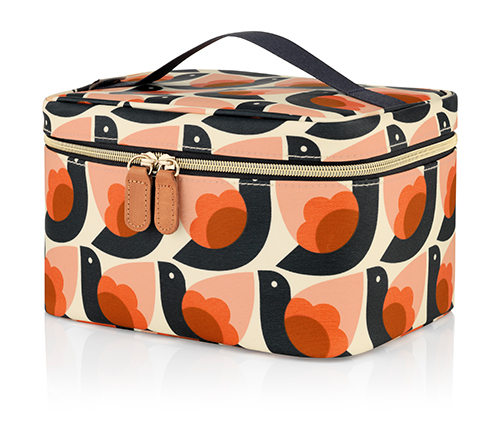 The Dove print is a relatively new design for Orla Kiely and the bold print teams bright accents of persimmon with charcoal navy and pale rose. While Scallop Flower is a multi directional floral design which uses interlocking flowers and spots in a refreshing colour palette of duck egg blue teamed with seagrass green and navy. 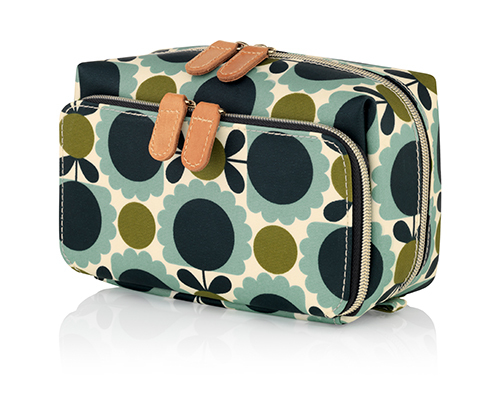 The new Orla Kiely SS19 wash bag collection is priced from £22 for a small cosmetics bag to £38 for the large hanging wash bag or train case.